The literary community is abuzz with this summer's thrilling array of debuts, but there's one in particular that's generating a wave of fervent anticipation from indie bookstores across the country to book critics from The New Yorker, The Washington Post, and the New York Times, even gracing the cover of the the New York Times Book Review along with some of the other notable summer debuts. Korean-American author R.O. Kwon's The Incendiaries (Riverhead), out now, is slowly usurping the number one spot on everybody's to-read list, and it's no surprise why. Set in a rural college town, the novel focuses on three characters: Will, an ex-Christian fundamentalist; Phoebe, a young Korean-American woman whose guilt over the death of her mother sways her to an extremist cult on campus; and John Leal, a charming cult leader, who exploits Phoebe's grief and lures her away from Will into his world of radical, religious beliefs, resulting in an act of violence that kills five people. 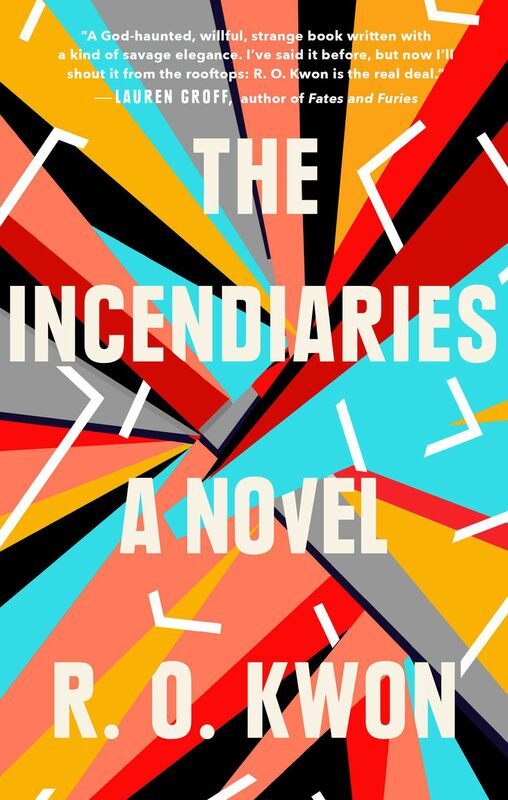 The Incendiaries effortlessly vacillates between the searing and the complex, the personal and the political, layering each element with powerful prose in a classic page-turner that is written so sharply you could slice a bagel with it. R.O. Kwon talked with PAPER about faith (and the loss of it), fanaticism, and her fixation of words at a sonic level, below. You were raised Roman Catholic but lost faith when you were 17. What caused you to lose it? There's a part in the novel where one of my protagonists, Will, who lost his faith, says it was like what people say about bankruptcy: that it happens gradually, then all at once. There was no one reason I lost my faith. It just became impossible to believe in an omniscient, omnipotent Lord. I tried hard to hold onto belief, but there came a point when holding on became impossible. I should note that I was born Catholic, and my family's Catholic, but at my most fervent, I was spending a lot of time in Protestant churches. You say losing your faith was catastrophic for you. Did writing The Incendiaries help bridge any gaps that were previously left unbridged before you started writing? I've started realizing that it's possible I'll never stop grieving the loss of God. Love doesn't always end because the object of that love is gone, or unavailable. I still love the God I imagined for myself; it's just that I don't think He's real. There's a line from Anne Carson I often think about: "I've come to understand that the best one can hope for as a human is to have a relationship with that emptiness where God would be if God were available, but God isn't." You and I share a love of words at a sonic level. As a comedian, I feel like joke-writing is often like composing a sonata, and I'm basically ordering syllables in a rhythm that will elicit a response, which, in my case, would be a laugh. Did you feel this way when writing a novel? You draw a parallel between religious and romantic obsession: Phoebe's unwavering devotion to Jejah, the cult, and Will's love for Phoebe, both extreme to the point where Will loses Phoebe, and Phoebe loses herself. Was this intentional? I tend not to write fiction with many overt intentions — I usually let the language, and the characters, gradually reveal to me what they want to be. So, I suppose, no, it wasn't intentional. What attracted you to the idea of cults and how they operate on a psychological level? There seems to be a lot left unsaid, especially on John Leal, the cult leader's, part, but you place the emphasis on Phoebe's initiation into the group. Why did you shroud John Leal in mystery? I loved believing in God; I loved believing, period; the more fervent I became, the more I loved it. I can see, and feel, the appeal of the kind of certainty that a cult like John Leal's peddles. How wonderful it would be to think I had all the answers! Of course, what this now means is that, post-apostasy, I'm deathly allergic to certainties. I'm not even sure I'm right to be so averse to certainties. I didn't set out to shroud John Leal in mysteries, but I did intend for the novel to exist within the confines of what Will can know, or imagine, about both John Leal and Phoebe. This book explicitly reveals the climax from the get-go: Jejah, the cult, blows up an abortion clinic, killing five people. What is the benefit — for the author and the writer — for including the climax in the beginning? In my writing, and in my reading, I often find it unpleasant, forced, to be jerked along by the question of what happens next. I'm so much more interested in why and how than what. (If it's an especially suspenseful book, I'll often flip toward the end to skim the conclusion, to find out what the hell is going to happen). With The Incendiaries, I wanted to at least partially resolve some central "what happens" questions as soon as possible. I imagine after a 10-year process you sort of have to adapt a new mindset to begin a new project — or not! — depending on where you and your next project wants to go. Do you think the motif of faith (and the loss of it) will remain present in some form or another in future work? I've joked that everything I write incorporates God. I'm not sure it's a joke. It might just be the truth. I'm trying to keep Him out of my second novel, which I've been working on for about two years, but, well, He keeps stealing back in. Speaking of future work, can you give us a sneak peek at what you're working on now? My second novel is centered on two women artists, and it's about desire and ambition. That's pretty much all I can say about it for now, as it still feels so inchoate. I'm also coediting an anthology, Kink, with Garth Greenwell — it's coming out from Simon & Schuster in 2020. I'm thrilled about it. The Incendiaries is available to purchase here. To see R.O. Kwon on tour, click here.